So I had the amazing opportunity to take a mini getaway with my dad this past weekend/week to Key West and it was simply beautiful & much needed! It was a last minute getaway and sometimes those are the best! So I have some pictures of my outfits this weekend and I do hope you enjoy I also have a giveaway for y'all and I just know you will love it as much as I do! Together with Saraswatidesigns I am hosting a giveaway for this beautiful arrow ring featured in this post! It is Sterling Silver and just divine. It really spoke to me and all my rings that I adore and wear all the time, daily, never take off usually have a bigger meaning behind them besides what they look like in the tangible form. For many an arrow signifies moving forward in a direction and for me I relate to this 100% right now. So I do hope you continue to follow along with me during my journey forward to the unknown.. but I do know that I have a feeling that something is calling or rather pulling me in a certain direction in life right now. I choose to not fight this feeling anymore and follow it blindly with all my trust in the Lord that he is leading me to a better place/path than I have ever been! At this moment in my life I am spending a lot of time just getting to know myself better, self discovery I find is just a huge movement that you have to be ready to take on.. and I finally am. I am always working on my faith, but I have found I am even more compelled to embrace myself and my faith recently. I am also trying to be the best possible me I can be, that's all one can ask for. I often think of how much time I spend thinking about others, when I should be thinking about myself. This sounds incredibly selfish.. but sometimes that is exactly what one needs to mature and move on in their life. I am taking this time to get healthier, self-discover and continue strengthening my Faith in God. Usually I do not write posts like this but I remember when I started blogging I promised myself I would always stay true to myself. I think that over the time I have spent blogging I have given glimpses into my life and who I am.. but I haven't taken the time to really connect with my audience and readers and let them know who I really am and what takes place in my life besides just my outfits and "superficial" things that are important in the fashion world and for fun but I am more than what I wear and style. We all are. Sometimes self discovery is the best way to grow, and after all isn't that what we are to do, in our time here on earth? I want to take a minute to remember all those we lost on 9/11, all those who continue to sacrifice their time and lives to protect me and my beautiful country. I thank each and everyone of you, you are all heroes, not just today, but everyday. Tee-shirt: M2 : exact here! Tote: Hello Sunshine: shopcampmoxie! exact bag: here! Arrow ring: Cupid's Kiss exact here! Saraswatidesigns & TheBlondeLatte Sterling Silver- Arrow Ring Giveaway! :Comment for each step completed! -Follow TheBlondeLatte via Bloglovin' or GFC. -Like TheBlondeLatte on Facebook: here! -Follow both (Sarawatidesigns and xoxerinnicole_) on instagram! -Share TheBlondeLatte page on Facebook, Share the Giveaway on Facebook, Hashtag TheBlondeLatte Giveaway on Instagram and repost the giveaway! Thanks Erin, what a beautiful post on your self discovery. Wishing you always the best and look forward to more of your fashionable posts! Liked on FB! (Crystal Renee) Thank you and loved the post! Oh my God! I love this ring! I saw it on your Instagram and then I saw your post and I just loved reading it! You seem wise above your years! AWH! This made my week!! Thank you for such an honest and nice comment! I can only hope one day you make an account so you are not anonymous!! THANK YOU LAURA! 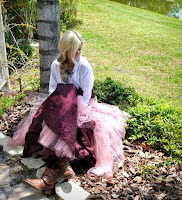 I love your blog you are so versatile your posts are always a good read!